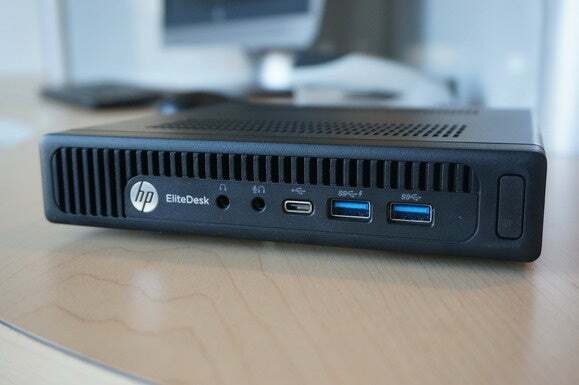 HP's newest EliteDesk mini PCs for business can take 65-watt CPUs and configurable ports. Exclusive: AMD's amazingly tiny and powerful Project Quantum dissected! Aimed at business and corporate users, the tiny EliteDesk Mini PC can still run up to a full 65-watt, quad-core Skylake CPU. 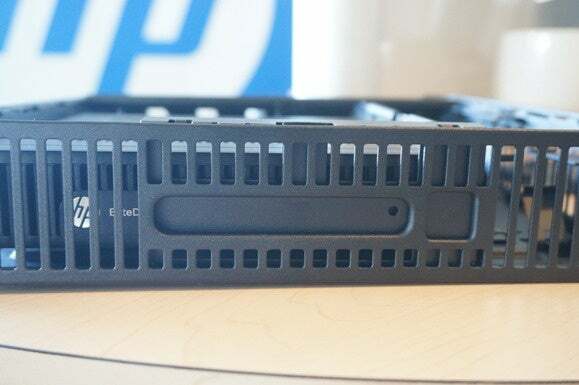 HP's not married to Intel, though: Its EliteDesk 705 G2 will also be available with AMD's PRO A12, A10 and A8 APUs. The EliteDesk 800 will come in either a 35-watt version that supports Intel's quad-core Core i7-6700T, or a full 65-watt unit that packs a Core i7-6700. 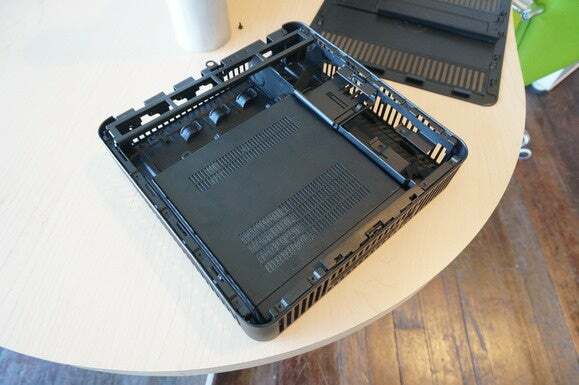 Both will support up to 32GB of DDR4/2133 and M.2 SSD, plus a 2.5-inch drive. The new HP EliteDesk MiniPC comes can be ordered with different port options. Here on the far right you can see a second full-size DisplayPort. What's unique about the new EliteDesk 800 is its configurable ports. 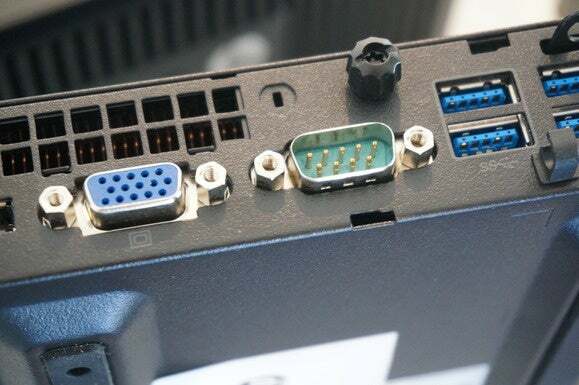 Whatever you need—RS-232, DisplayPort, HDMI, serial—HP can support your needs. 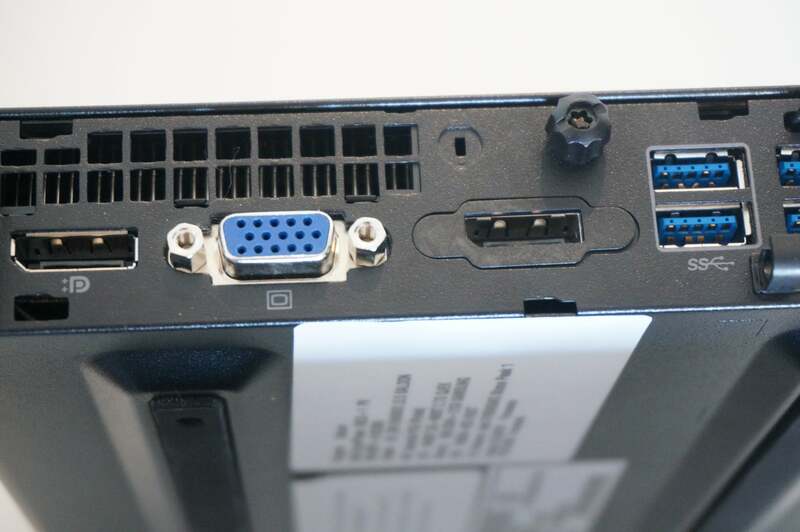 The port on this EliteDesk is configured to support a direct serial connection. Yes, RS-232 still lives. Another clever touch is directly integrating a standard VESA mount into the base. Most mini PCs use adapter plates that get lost. This LockBox makes it even difficult to remove the cables from a locked down system. Now if Al Gore could get Social Security into it. For those employees you just can't trust, HP sells a full cage for the Mini PC that locks down the system and the cables. An optional LockBox cover can physically block port access, too. Wow, they must not really trust you. HP's EliteDesk mini PC has an optional LockBox to block you from the USB ports. 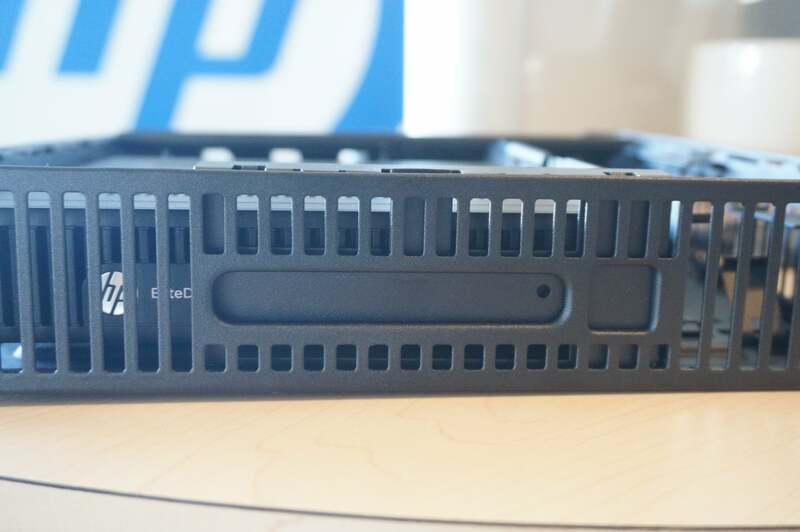 HP isn't just trying new things with its EliteDesk units though. 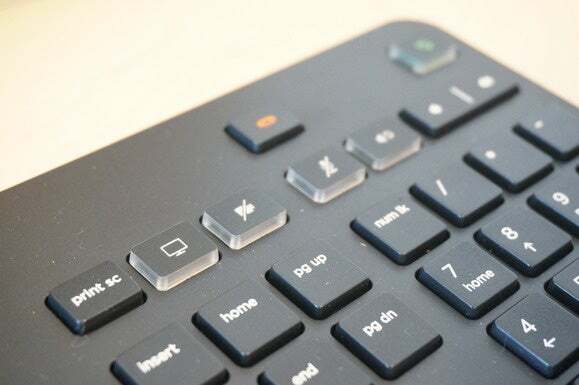 The company believes collaboration is a hot topic in the commercial space, so it's actually integrated buttons that support it on keyboards and monitors. The buttons let you easily cut off the video stream or mute audio, so your co-workers in Bangkok don't have to listen to you eat your lunch. HP now carries a keyboard with buttons focused on collaboration. Why this matters: The versatile mini PCs aren't all HP had to show. The company also revealed three new monitors, an AMD-based business All-in-One, and three new notebooks too. Why all the new hardware at once? Company officials didn't say, but given the impending November 1 split of HP's organization, it's likely the hoedown of hardware (with more coming) is signalling that HP is still a force to be reckoned with.